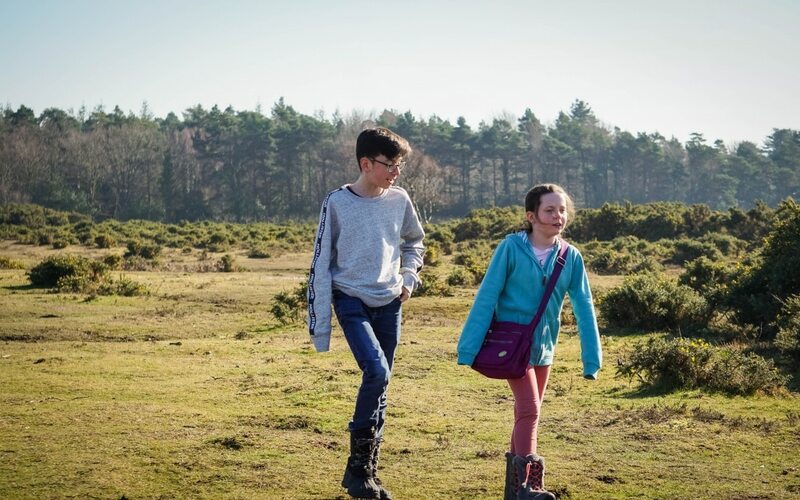 We’re really enjoying finding new places in The New Forest this year, you can find a perfect walk away from the main crowds by just driving around! We headed towards Beaulieu but drove through here as it gets super busy and found Crockford Inclosure just over a little bridge. With a good sized car park where you can head in every direction from. There is a lot of water around this area with streams all around, so be prepared for wet feet and bring your wellies. We visited in a sunny March and it was pretty wet around! This is a large area with no set paths and routes, well not that we could see through the puddles!! 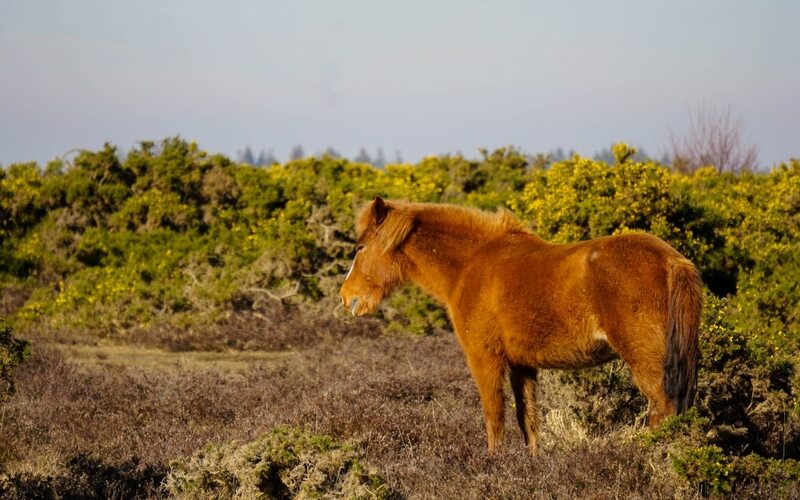 There were a few New Forest ponies around, but not lots so it was OK for Gus to run around when it was quiet. I can’t chat about a route to take as we just wander around in a rough circle! I am sure there is a more direct route but for a family walk the kids were quite happy splashing and playing in the massive puddles. 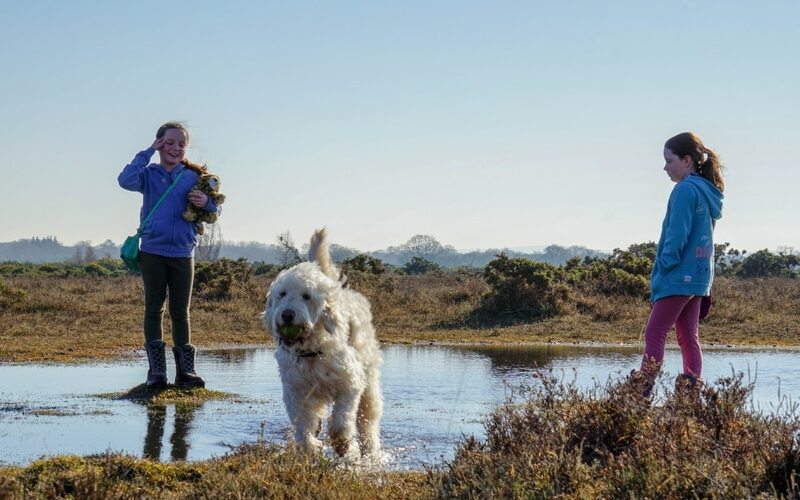 the dog wasn’t making too much of a splash…………..
You could drive into Beaulieu afterwards and walk along the water and find a lovely tea room or an ice cream shop! Lidl Whiteley – Now Open! What a great find! Looks like a beautiful neck of the woods. 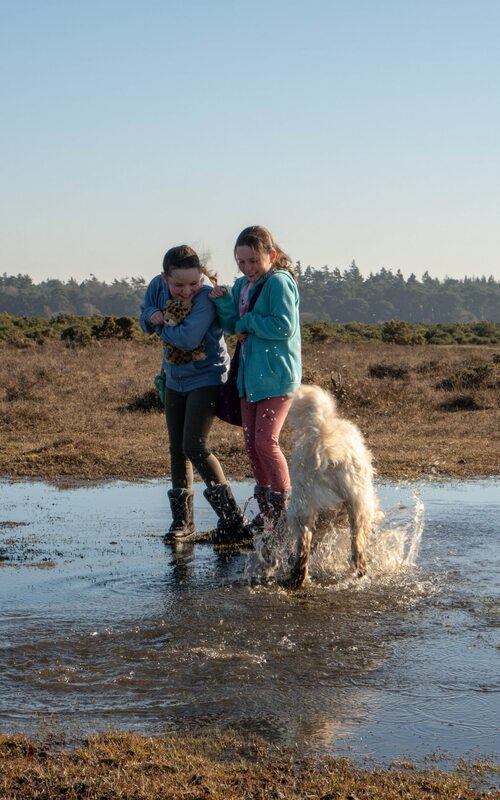 Great photos too – I especially love the one with the dog splashing and the looks in the girls’ faces. They were cheeky weren’t they, standing right where he splashed! Oh wow this little place looks amazing. I think my daughter and I would have so many adventures exploring. Yes I am sure she would love splashing in the puddles! They loved it and perfect place for a splash! 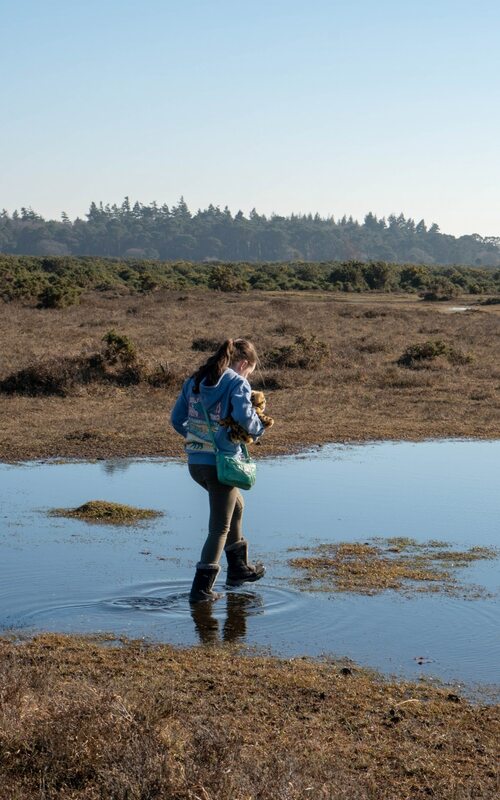 I really do need to get to the new forest one day, this inclosure looks a really lovely place to explore. 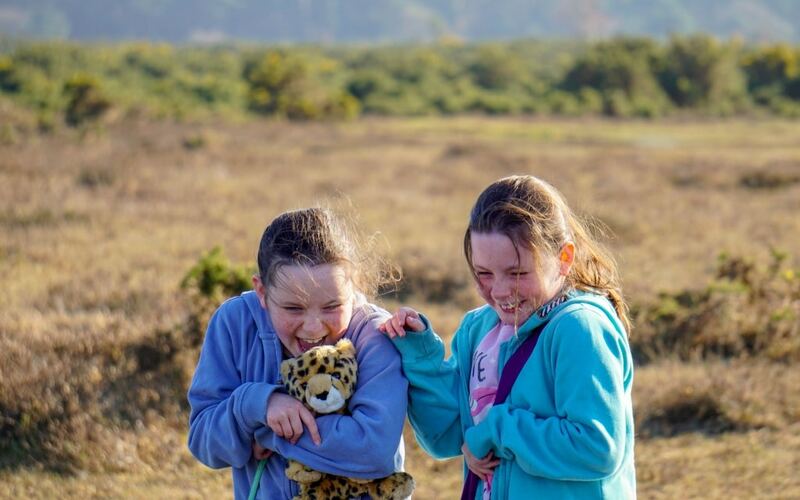 Last year we passed through the New Forest whilst driving back from Cornwall, it looked beautiful. We need to stop there next time, my brother lived in Wiltshire for a while and he always raved about it. 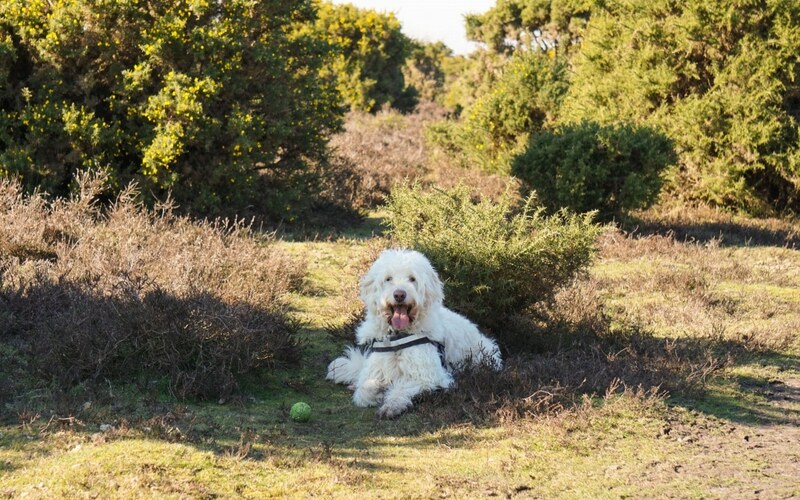 We have passed through the New Forest but never stayed before. It is somewhere I have always wanted to explore as it looks beautiful. What a beautiful place and space to find. 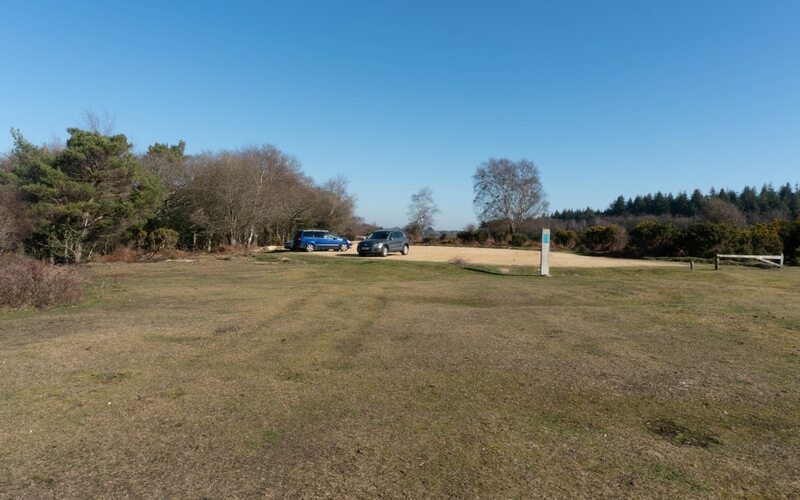 There is so much room in the new Forest there is no need to stick around the crowded areas. With so many other perfect spots to discover! We love finding new places and there are so many to find!